We were extremely frustrated, outraged, and sad to learn that our Aug. 2 New York City screening of Life Is Waiting: Referendum and Resistance in Western Sahara was canceled at the last minute. The event was to be hosted by the Arab American Association of New York but was canceled due to the objection of board members who considered our film too political. Unfortunately, this cancellation is part of a pattern, as the government of Morocco has lobbied strenuously to prevent the public from viewing our film and other media critical of its occupation of Western Sahara. 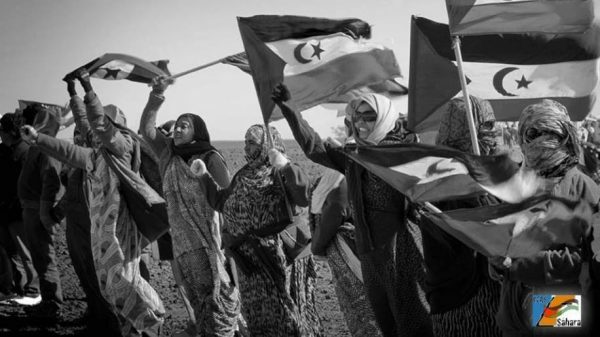 Although Western Sahara has been promised a referendum on self-determination for decades, the referendum has yet to occur. Instead, Moroccan occupation continues, making Western Sahara Africa’s last colony. Numerous artists who have tried to publicize the plight of Western Sahara have reported having their efforts censored due to Moroccan intervention. Our own film, Life is Waiting, has been shown in dozens of countries worldwide. However, screenings in Beirut, Amman, Sydney, Dubai, and other places have all been canceled as part of an effort by Moroccan officials to maintain a media blockade on critical coverage. Fortunately, many other cities have not succumbed to their threats and intimidation tactics. In some cases, the cancellations have prompted public protests by viewers insisting on their right to see the film. We fear this latest cancellation represents a continuation of this trend. We apologize for the inconvenience to any of our friends and allies who planned to attend the screening. We will not be deterred from carrying forward our efforts to draw attention to the struggle in Western Sahara, and we invite additional groups to contact us about hosting a screening at info@culturesofresistancefilms.com. Please find more information about Western Sahara’s quest for self-determination at our website. This makes me furious! What to do…..:( Carry on of course!